What happens if we begin to see the city as a place for an embodied visual consumption; a visual apparatus or, perhaps, a system that is based on movement, light and the body, and which we can explore in kinematic, kinetic, and kinaesthetic ways? 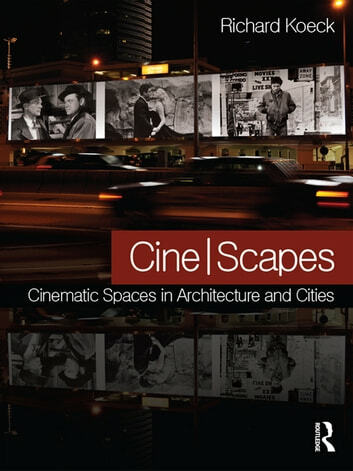 Using film as a lens through which we look at urban spaces and places, Richard Koeck reveals the filmic and cinematic phenomena and spatial qualities that are present in postmodern landscapes, and which are perhaps otherwise disregarded or merely passively consumed. Cine-scapes ignites new ways of seeing, thinking and debating the nature of architecture and urban spaces.